Nancy would have celebrated her 65th birthday on August 13. Working as she did from her home in Maine for the last few summers, Nancy would have enjoyed an early sunrise followed by an invigorating workout, as she did every day, taking care of herself as she prepared for a day of taking care of her clients. Even at her vacation home, Nancy busily and thoughtfully addressed all of her clients’ concerns as if she were at her desk in Bethesda. Nancy had a distinguished 40-year career as an estates and trusts lawyer. She was recognized by her peers as an expert in her field and was known to her clients as a trusted advisor. Estate planning and estate administration deal with the transfer of wealth—among family members as well as to charities. But Nancy understood that her work was about much more; it was also about the relationships within the family and with the community in which her clients lived. She understood her job was to help her clients plan for the giving and receiving of wealth, during life and after death, and to assist her clients to preserve their important relationships as they did so. On June 26, Nancy’s family held a memorial gathering for her many friends and colleagues at the Spanish Ballroom at Glen Echo Park. Nancy would have approved of the venue. There was a reception afterwards and Nancy also would have approved of that. One theme that was woven through all the remarks was Nancy’s love of good food, how important it was to her that food be fresh and healthful, how she loved to cook for others, and how she loved to bring people together, often around food. 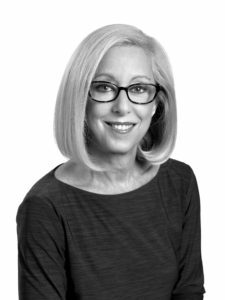 Nancy liked to organize hikes, picnics, ski trips, boating trips, and all sorts of activities for her family; but she also liked to organize group activities for the lawyers and staff of our firm, and there were many over the years. Our memories of coming together with Nancy have been a tremendous source of peace. Nancy was a teacher and a mentor to others. She gave of her time to train younger lawyers and to open doors for them to achieve professional success and recognition. She encouraged others and celebrated their successes. She left a tremendous legacy of well-trained younger lawyers and staff. Nancy cared about her friends, her family, her clients and her colleagues. But she also cared about the community in which she lived. She was a philanthropist and she encouraged philanthropy in others. She believed giving to others was a joyful experience. She served on the boards of several nonprofits, including Levine Music and the Greater Washington Community Foundation, and she enthusiastically contributed to these and other worthy organizations. Nancy will be missed by all who knew her and many who did not.